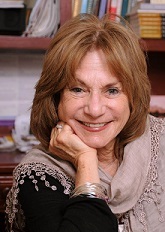 Honoring Our Hungers – Judith Ruskay Rabinor, Phd. Close your eyes and imagine you are at a banquet, a banquet in the sky. There is a table before you, filled with food. Let your eyes sweep across the whole table as you look for your favorite food. Take your time, no need to rush, as you allow your eyes to sweep across the whole table, back and forth, as you look for your favorite food. When you think of your favorite food, perhaps a food comes to mind and you are looking for that food now. Perhaps your eyes are sweeping across the table, going back and forth as you take your time, looking for, searching out, seeking your favorite food. Take a good look at all the foods that come into view as you let yourself see everything, as you search for a favorite, your favorite food. What is it like to see the table? How are you doing, searching, seeking, finding your favorite food? Take a good look, and let your whole body – your eyes, your nose, your mouth, fill up with this food as you breathe into it, as you breathe in what it means to be with your favorite food. Take a moment and think about the first time you had this food. Allow a scene to come to mind: you with this food – the first time you had it. How old were you? Where were you? Can you recall the time of year – was it warm or cold, summer or winter? Think about the last time, the most recent time you had this food. When was it? Where were you? See yourself eating this food, the last time you had it. Think about the next time you will have this food. Do you know when that might be? Have you planned it? Or does it usually happen spontaneously, unexpectedly, that you just have this food? Imagine we will be having it for lunch today. How would you feel about eating it here, today for lunch? Imagine tasting it. Do you pick it up with your hands? Touch it? Or use a fork and knife. Do you touch it? Does it slide into your mouth? Is it gooey? Crunchy? Listen to the sounds you make as you taste it. Imagine smelling it. Does it have a particular odor? Strong? Sweet? Pungent? Mild? Wild? Or no odor at all. What is it like for you to taste your favorite food? Imagine it entering your mouth. Do you eat it delicately? Do you feel prim and proper? Or do you eat it with enthusiasm and gusto? See it, taste it, listen to the noises it makes, if it makes any noises – as it goes down your throat, feel it. Let your whole body get involved as you allow yourself to eat. Imagine being with this food, and as you eat, see if there is some information way down deep that emerges for you whether any part of you comes to know something new about you as you imagine being with your favorite food. Now I’d like you to imagine taking this food, and putting it away. Wrap it in tinfoil, or in saran wrap, or put it in a container – see what it is you will wrap it up in. Watch the food going into the box, the bag, the container. And now imagine putting the box, the bag, the container, in a shopping bag and having this shopping bag at your feet by your chair. When the bag is securely there, open your eyes, take out a piece of paper, and write about your experience in this exercise. Lobster is my favorite food. I eat lobster when I celebrate. I learned about eating lobster when I was about ten years old and used to go to beach parties with my family. I eat it whenever it’s time to celebrate. I had lobster when the children where going away somewhere. I’d say “Let’s all have lobster,” and go out and get lobster. Hot fudge sundae is my favorite food. I kind of have a passiveaggressive relationship with it. Sometimes I love it, sometimes I love it not. The truth is that the first time I was introduced to a hot fudge sundae, I was feeling very sad. I was a little girl and my mommy and daddy decided to make me feel better, so I was given a hot fudge sundae. I like to have a taste of sundae every once in a while, and am able to enjoy doing that. But more often than not, I am still used to the idea of having a sundae when I feel sad or lonely or unhappy in some way. It gives me comfort that I’m not able to find from a real person. I love chocolate Entenmanns blackout cake. My first memory of it was in my nightgown, sending my brother out to buy a box of Entenmanns cake and knowing that my mother couldn’t ration out how much I could have. Growing up in Israel, there were no sweets, and when she came here she really went crazy with the abundance of sugar that we have in this country. She thought that by controlling the food, she would somehow keep us from being overindulged. So when I had my own money I had my brother buy the blackout cake and had my first experience of not being told how much I could have or when I should stop. That was a way that I learned to comfort myself. This guided imagery experience inevitably deepens one’s awareness of how food is inextricably connected to a wide variety of emotions and relationships. In a group processing this exercise, members validate and legitimize honoring our nutritional hungers, serving as a metaphorical acknowledgment for meeting one’s emotional and spiritual hungers as we eat.